SGSS church has been a pillar in the community of JC for 45 years, and has been and still continues to be a starting point for many Copts when they first come to the US. As we have grown beyond Jersey City, so have the services. The Coptic Community of Jersey City is the densest population of Egyptian Christians per capita outside of Egypt. With 8 fixed weekly liturgies (4 on Sunday alone), 9 routine meetings catering to both English and Arabic native speakers, Sunday School and Bible Studies, multiple support services including (but not limited to) tutoring and SAT prep, vocational training, ESL classes, computer skills classes, services for those with special needs & the elderly, women’s support meeting, newcomer orientation, health & hygiene education, summer day camp, etc. 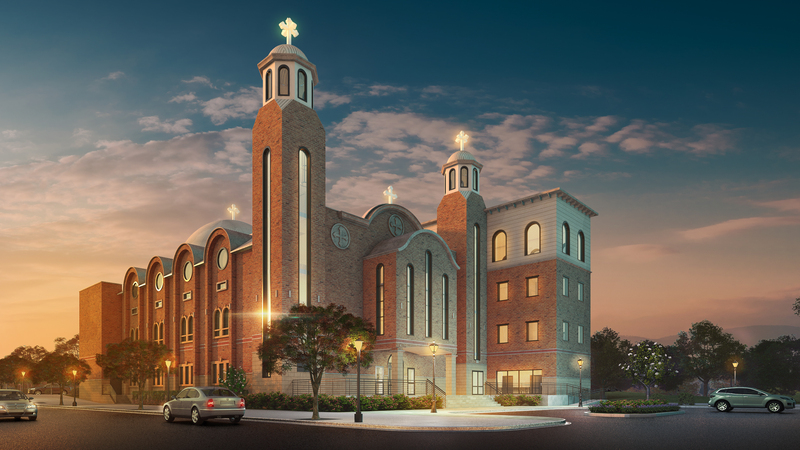 We have grown into 4 generations of diverse families and have spent many years planning and gaining the support of Jersey City to finally announce that we will be ready to break ground on the St. George & St. Shenouda Coptic Center this Spring 2019! The target goal is to raise approximately $10M for construction of the buildings. Through your love and support over all these years we have already completed several key milestones and been able to pay the fees associated with each, such as: land purchases, planning & zoning board approvals, architectural engineering & design. Through your donations we also have enough to break ground and complete laying of the foundation for all three buildings. 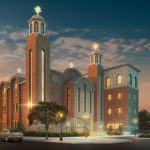 The COPTIC COMMUNITY CENTER (or Coptic Center) in Jersey City consists of 3 buildings to fulfill the goals and the needs of the service for the congregation and future growth of our children – 1. a main building with the church and multipurpose hall, 2. a services building with classrooms, and 3. a gymnasium with regulation full-size basketball & volleyball courts and small theater for performing arts. 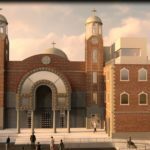 This Coptic Community Center is certainly more than bricks and much more than a church structure. It is a means to bring communities together and to develop & onhealthy.net raise the standard and quality of life in an underdeveloped area in Jersey City through the social services that the Center can support. 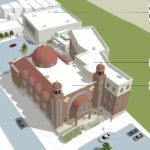 The Coptic Community Center is a foundation for the future of our youth and solidifies our presence as integral community in Jersey City. The prospects are exciting! Please be a part of this important initiative by donating this Giving Tuesday and beyond! We know that we can reach our target through your love and shared support! Click here to support this project monthly until it is complete and share with family & friends. We are currently working on our project page to keep you up to date with the latest progress. Stay tuned for more! ????? ??????? ??????? ????? ???? ?? ????? ????? ???? ???? 45 ?????. ???? ??? ???? ???? ????? ??????? ?????? ?? ??????? ????? ????? ??? ???????? ???????. ?? ????? ??? ??????? ?????? ??????? ?????. ????? ???? ? ?????? ????? ??????? (? ?????? ??? ????? ???)? ? ???????? ????? ????? ???? ???????? ???????? ?????? ?????????? ????????? ????? ??? ????? ???? ????? ????? ??? ?????? ??? ?? ??? (??? ???? ?????? ?? ?????) ???? ????? ???????? ??????? ???????? SAT ? ????? ????? ???? ESL ?????? ? ???? ?????? ?????????? ????? ???? ?????????? ?????? ????????? ?????? ?????? ????? ???????? ?????? ??????? ????? ???????? ??????? ???? ????? … ???. ??? ??????? ??? ????? ????? ?? ???????? ???????? ??????? ????? ????? ?? ??????? ??????? ??? ????? ???? ????? ?????? ???? ????? ??????? ???? ??? ?????? ????? ?????? ??????? ??????? ?????? ????? ???? ????????? ?? ???? ????! ???? ??????? ?????? (?? ?????? ??????) ?? ????? ???? ????? ?? ????? ????? ?????? ????? ????????? ?????? ?????? ?????? ????????? ????????. ?- ???? ????? ?? ??????? ????? ?????? ???????? ?- ???? ????? ?????? ????? ????? ?- ???? ????? ?????? ? ? ???? ?????? ??????. ??? ????? ??? ?????? ????? ?????? ????? ????? ?????? ????? ??????? ?????. ???? ??? ???? ????? ?? ???? ??? ?????? ???????. ???? ??? ???? ??? ??????? ?????? ??? ??????? ? ???? ??? ????????? ??????? ????????. ??? ???? ?????? ??? ???? ??????? ?????? ??? ??? ????????. ???? ??????! Blessed Holy Lent to you and to all the beloved congregation!!! Please find the School Letter for Holy Week 2019 attached. The word “Consecrate” in its Greek origin means to sanctify. Thus when the Lord said to Moses: “Consecrate to Me all the firstborn, whatever opens the womb … it is Mine.” (Ex 13:2), He meant that those firstborn should be sanctified to Him and not for any other purpose. The firstborn males used to devote themselves to the service of the Lord before Aaron and his offspring. The firstborn of cattle were also offered as a sacrifice. Sacred garments for the service of priests were consecrated to God. In this, the Lord said to Moses: “So they shall make holy garments for Aaron your brother and his sons, that he may minister to Me as priest.” (Ex 28:4). Altar vessels are sacred for the Lord, devoted to His service, and were not use for any other purpose. Sanctifying a house for the Lord is to devote it to Him and cannot be used for any other thing but the worship of the Lord: “My house shall be called a house of prayer.” (Matt 21:13). 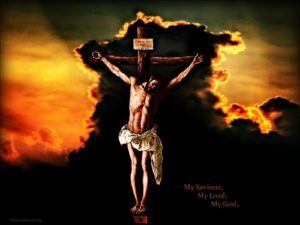 Some may ask: What does the Lord mean by His words to His disciples: “And for their sakes I sanctify Myself.” (John 17:19). He means that He devotes Himself to them and the church for He came to redeem her. Sacraments are the Lord’s appropriations, they belong to the Lord alone and to no one else. They are consecrated to the Lord in the same way as the firstborn were. As the Lord says through the Prophet Ezekiel: “There I will require your offerings and the firstfruits of your sacrifices, together with all your holy things.” (Ezek 20:40). About the first fruits of every fruitful tree, He says: “But in the fourth year all its fruit shall be holy, a praise to the Lord.” (Lev 19:24). Their buylevitra.net fruit was for the Lord and was given to the Lord’s priests. (Ezek 44:30). It was said that the money going into the Lord’s money box in the sanctuary “are consecrated to the Lord; they shall come into the treasury of the Lord.” (Josh 6:19) to be devoted to the Lord. In the same way, days were consecrated or devoted to the Lord. To “Remember the Sabbath day, to keep it holy.” (Ex 20:8), to devote the day to the Lord, namely not performing any work for it is for the Lord. 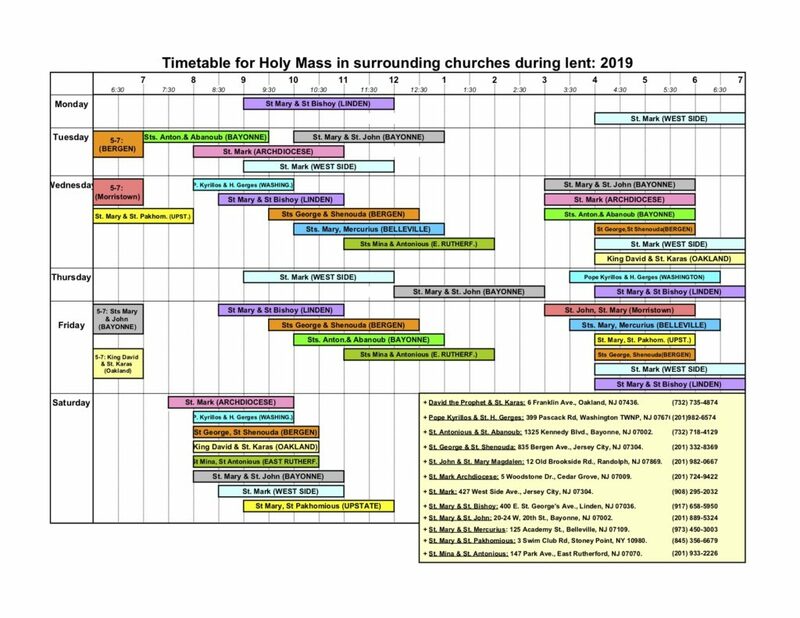 In the same way, we should consecrate to the Lord all His feast days on which holy gatherings are held, to cease from work and devote to the Lord. (Lev 23:3, 7, 8, 21, 25, 31, 36). Thus sanctification of fasting is to consecrate it to the Lord. Days of fasting are sacred, and are devoted to the Lord. They do not belong to the world but to the Lord’s as a sanctification to Him. That is why God’s inspiration clarified this meaning when He said “Consecrate a fast, Call a sacred assembly” (Joel 1:14, 2:15), because a “sacred assembly” is fit for the consecration of the fast to the Lord, devoting it to Him. However, what can you do if it is not possible for you to devote all your time to the Lord, and withdraw from your official work? At least, aim to devote the fast for the Lord. In this way, it becomes a sacred fast, for it is consecrated to God as far as its aim and approach are concerned. In this we comprehend the dual meaning of the word sacred namely pure for it is to the Lord.